Every year for the past six years, the HCA drama program competes in the GICAA Region A One Act Play Competition. The One Act Competition is a competitive twist on fine arts, there is a time limit on each show and whichever cast scores the most points wins the competition. 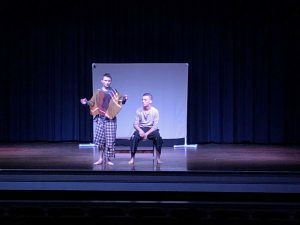 The One Act Play Competition poses many difficult problems such as choosing a play that will not only win, but also takes advantage of the talent our students have to offer the play. As well as making sure your show stays under the set time. This year the cast prepared and performed Huebner the Reluctant- a tale of a storyteller who gave up his passion after a traumatic experience. Thanks to some coaxing from a mysterious floating woman he joined in the unknown quest to be the key to winning the battle to save the world. After struggling with his faith in both himself and others, he is finally able to become a firm believer in his abilities and subsequently saves the world from destruction. This is a great show with a underlying biblical meaning. The cast recognize that our daily battle with the enemy comes against us every day, but we are victorious through Jesus! It ties in so great with our current schoolwide study of the book, Goliath Must Fall. At regional competition HCA placed 1st in the region for the second year in a row. HCA also received outstanding performance awards for three of our cast members Grant Duncan (Huebner), Carter Bennett (Christoff), and Ashleigh Brandt (Floating Woman)! Judges select the five top actors/actresses that compete and award them outstanding performance awards. At the GICAA Region One Act Play State Championship our play placed 3rd in the state with Grant Duncan receiving another performance award as well. 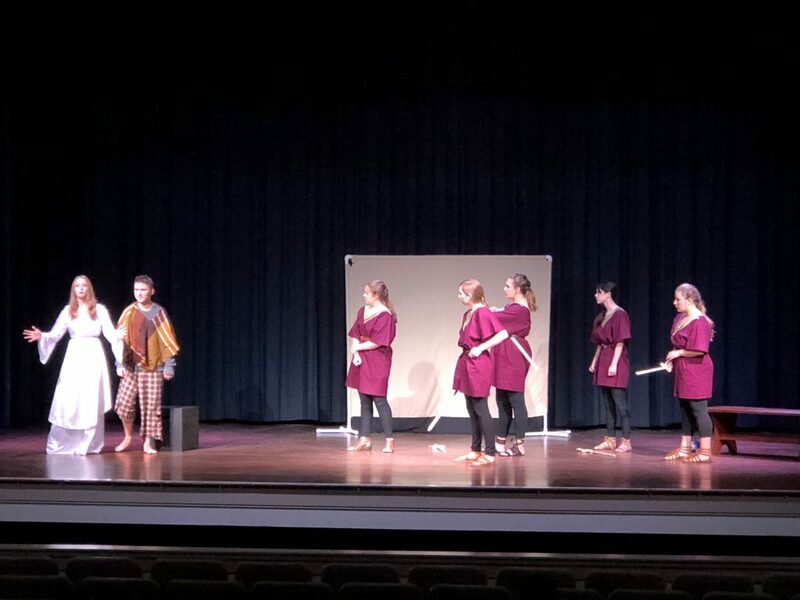 The drama program continues to excel and expects to participate in the GICAA One Act Play Competition for years to come.